Spiral path is a fun and challenging new board game for you and your friends. The game play is simple, players roll a dice, and move the number of square spaces that is equal to the number rolled with dice. 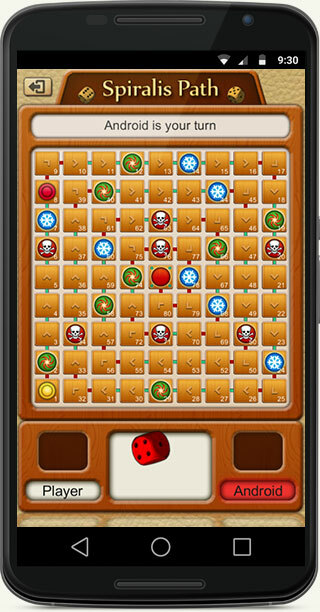 Move your player along spiral path and land on center board in bright red square and win the game. The first player to reach in center, win the game. Who played snakes and ladders or classic ludo board game will love playing this game too. Play with all your family, friends and everyone you know. 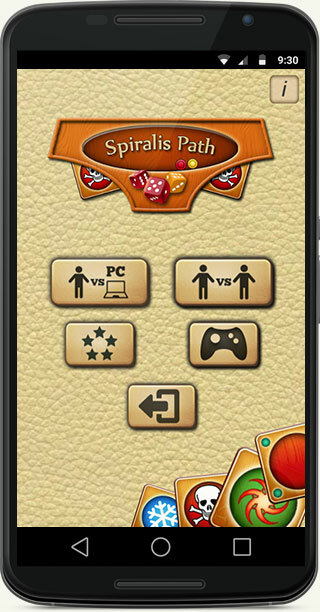 You will really enjoy the playing experience we brought in this new game "Spiral path". 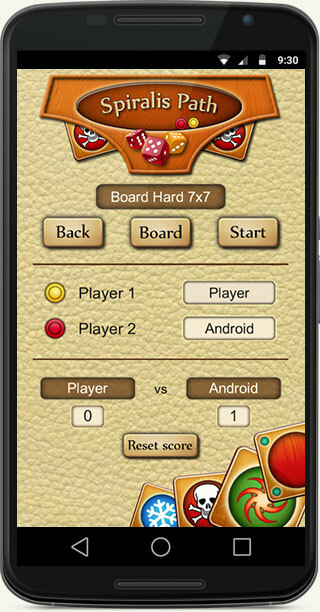 Choose playing vs computer (type your name and start playing vs computer) Choose playing vs player (play with your friends - type your name and your friend name and start playing) Yellow player have the first move, roll the dice and start playing. 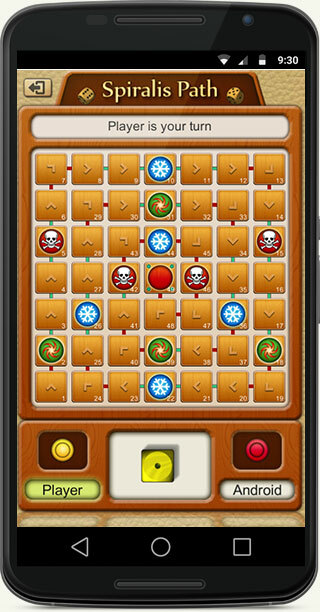 You can choose type board with 4 difficulty levels to play in single player or in multiplayer. Roll the dice and move your player in square spaces that is equal to the number rolled with dice. If your player land on "Slippery ice square" you lose 6 steps backward. If your player land on "Dead square" you return your player back to beginning. If your player land on "Speedy steps square" you win 6 steps forward. Who land first on "Magic light square" win the game. Simple messaging system on top board - that will help you to easily follow the game. Board type with difficulty levels.